You have several options to see all your tasks in a list. Click the magnifying glass at the top right of your day view or use the keyboard shortcut "shift + s" to open the search dialog. 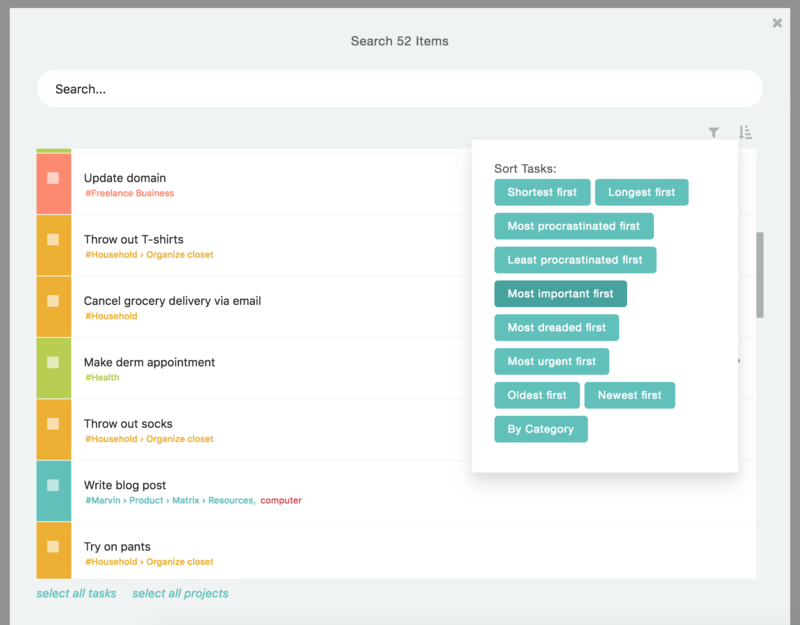 Here you can see all your tasks and projects in a list and apply filters to it and sort the list. You can then view this Smart List in the Master List (open Sidebar, Smart List tab, select "All Tasks" Smart List). If you are using the custom sidebar strategy you can also make a tab there to see all your tasks anytime.